Our University Masterplan brief required us to create a new identity for an Oxbridge University campus. Our response was to create a longlasting, sustainable development, capable of development in phases, by arranging a series of new landscapes which open to each other and create vistas to connect each area to the next. 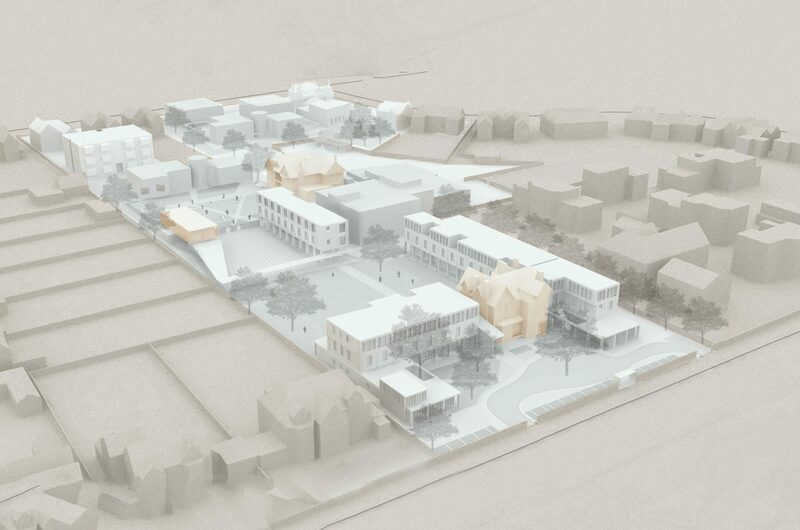 The University’s accommodation needs are met by a combination of new and existing buildings which help shape these informal quadrangles and provide a linked network of social focal points. 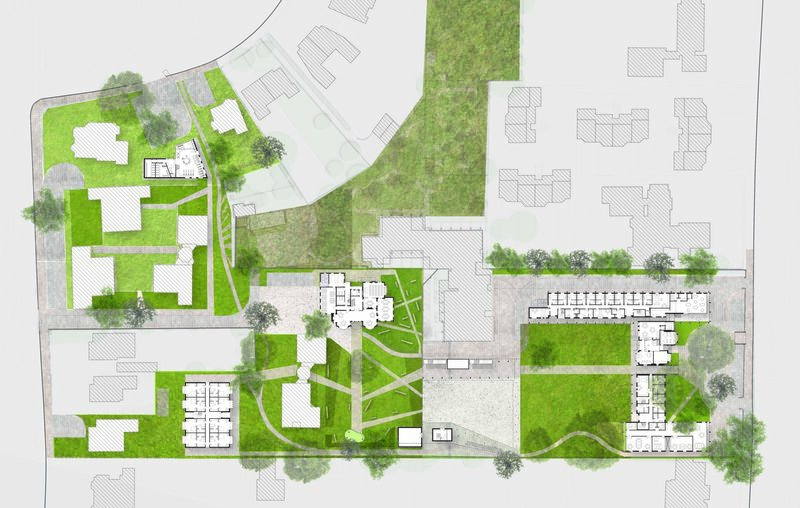 A combination of architecture and landscape creates a series of garden quadrangles, referencing the Oxbridge tradition that creates a new campus with a strong sense of its own identity. A combination of retained, refurbished and new buildings will create a flexible, cost effective and attractive campus that has a rich architectural character and a real sense of place. The creation of that sense of place is achieved by encouraging movement through the campus by placing a series of focal points or activity centres in strategic locations and encouraging movement between them. 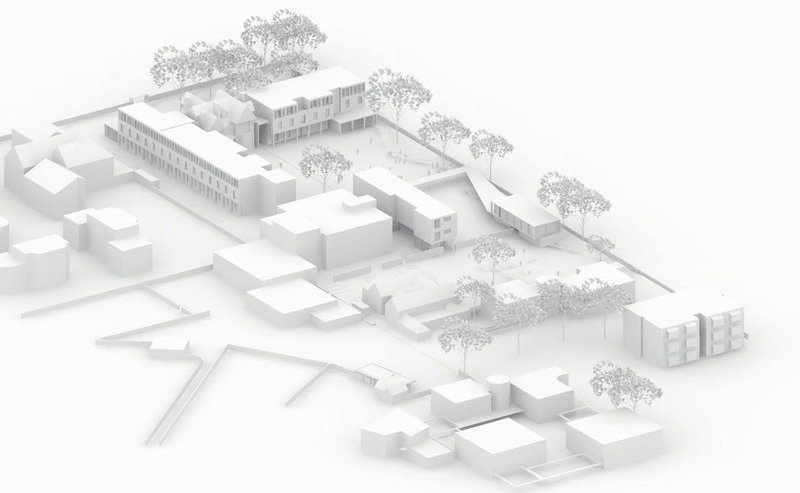 The design accommodates a combination of residential, social, academic and administrative uses, and encourages a sense of community and flow of movement across the whole site. 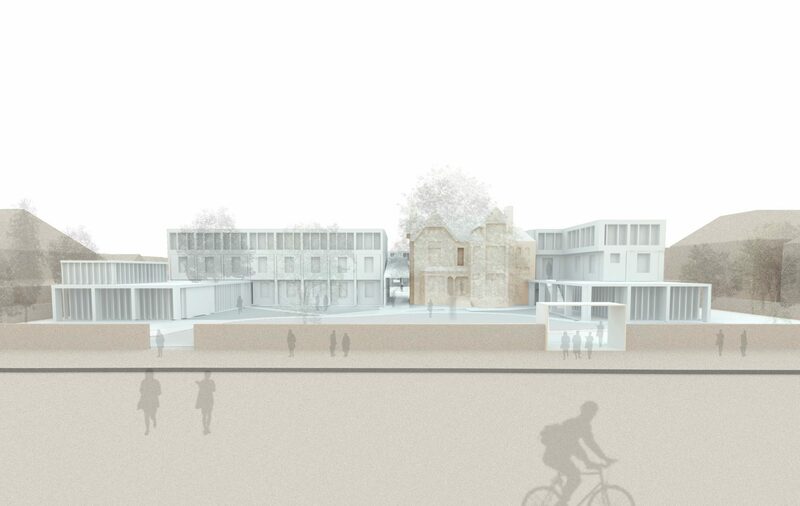 Overall the design and masterplan sought to create a memorable place to live for students and academics that supports the ethos of the University and its academic communities, and forms an environment for the social interchange which is at the centre of collegiate living.